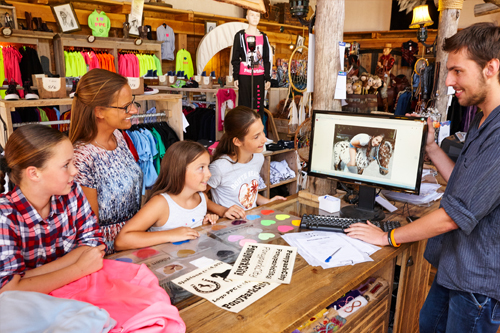 Getting a print on a shirt or sweater at the Western Shop is a very popular activity. These shirts are printed as per your request, with the name and photo of your favourite pony. 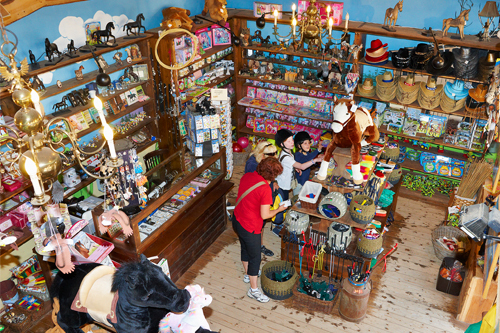 There are many Western items available, such as cowboy hats, waistcoats and boots. You can also pick up some attractive ornaments to take home! Looking for fun souvenirs and gifts? Then you are sure to find something at the Souvenir Shop! 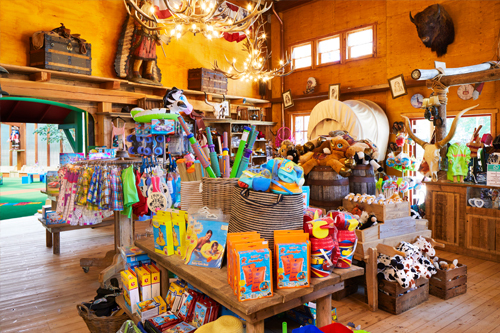 There are also numerous pony products available and games, fluffy toys, jodhpurs and many other items!